The perfect gift for your favorite PETA member for their next Soltice/Mayday celebration or pagan ritual. The narwhal is an arctic-dwelling whale that has been called “the unicorn of the sea” due to its long pointy tusk. There is debate about the true purpose of this tusk, but finally the truth is revealed! 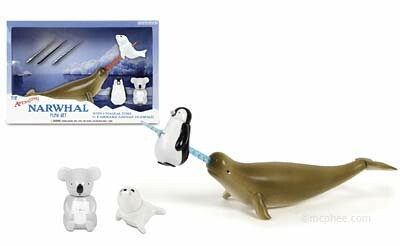 The narwhal uses its tusk to impale the cute animals of the world, specifically baby seals, baby penguins and koalas. This 5-1/2″ long, hard vinyl narwhal comes with four magic tusks (crystal, onyx, ruby and ice) to impale the three 1-1/2″ long, soft vinyl cuties. Don’t let cute overrun the world, fight back with your own Avenging Narwhal! Also available, Avenging Unicorn and Devil Duckies. If you are still in a relationship, Mr. Pregnant tells us how to make love. I found the relationship video at Dr. Mike’s Blog. I don’t think anyone should take credit for that last bit. 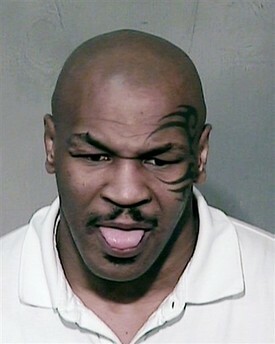 PHOENIX – Mike Tyson was arrested early Friday on suspicion of driving under the influence and possession of cocaine after police stopped him shortly after he left a Scottsdale nightclub, police said. The former heavyweight champion appeared in Maricopa County Superior Court in Phoenix later Friday and was ordered released without bond on a felony drug possession charge. No alcohol was detected in his system, and a DUI-drugs charge was not filed pending toxicology tests. Tyson was stopped after his car almost struck a sheriff’s vehicle while leaving the club around 1:45 a.m., said Sgt. Larry Hall. If Mike has to do time, it will be in Sheriff Joe Arpaio’s jail. Joe is known as the “toughest sheriff in America” and makes his inmates wear pink jumpsuits and underwear. We’ve seen an iPod blended into dust and an entire Christmas dinner blended into a delicious smoothie. This week the folks from Blendtec bow to the requests of their fans and go after a crowbar. And, if you are feeling a little hungry, how about some soup and a Tilapia? PHNOM PENH, Cambodia — Six persons were injured when a rampaging bull buffalo gored guests at a wedding ceremony and passers-by, police said Friday. The buffalo charged from a nearby field into some 100 guests who were attending a wedding Thursday of the daughter of a Cambodian tycoon on the outskirts of the capital Phnom Penh, said Chey So Sila, a district police chief, declining to reveal the name of the tycoon. After goring four guests he ran off to attack two passers-by, the officer said. All were hospitalized, some with serious injuries. He said the buffalo’s owner fled his home after learning about the incident for fear of being held responsible. Bet he wasn’t invited to the reception. FoxNews is showing live video of Iraqi-Americans dancing in the streets of Dearborn. Hot Air is updating as information becomes available. Hell welcomes a new resident tonight. 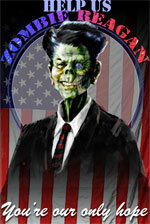 Update 10:08 p.m.: The tyrant is dead. As we prepare to celebrate the New Year, Charlie Brown brings us this special holiday message. This is very NSFW. Very. It is not for kiddies and will offend anyone who doesn’t like to hear the F-word, over and over again by the Peanuts gang. That said, it’s funny as hell. In the mood for crab cakes and Jimmy Schmidt from the Rattlesnake Club just posted this recipe with a little twist. I’m cooking — who’s coming over? In this recipe, make sure to use never frozen, jumbo lump crab. Anything else is just not worth it — might as well go to a restaurant and order one of those big lumps of bread crumbs they try to pass off as crab cakes. There is little or no breading in a real crab cake, just a little something sprinkled on the outside for texture. Cooking note: (C=0g), (P=0g) and (F=0g) indicate the carbohydrates, protein and fiber in grams for the ingredient listed. This recipe has about 10 grams carbohydrates, 23 grams protein and 2 grams fiber per serving. Preheat oven to 375 degrees. To make crab cakes: In a medium bowl, combine the mayonnaise, onion and celery. Season generously with salt and cayenne. Fold in the crab meat. Mold into 4 cakes. Sprinkle half of the cracker crumbs into 4 small circles on a parchment-lined sheet pan. Place a crab cake on each circle of crumbs. Sprinkle the tops of the crab cakes lightly with the remaining crumbs. Deep-chill in the freezer, without freezing, until ready to cook, about 15 to 30 minutes. To make salsa: In another medium bowl, combine the tomatoes, garlic salt, optional vodka and lime juice. Season generously with Worcestershire sauce, Tabasco, horseradish and sea salt as necessary. Reserve. To cook: Place the crab cakes on the middle rack of your oven, cooking until golden brown about 15 to 20 minutes. Remove from the oven. To serve: Transfer crab cakes to center of warm serving plate. Spoon the salsa over the cakes. Garnish with the spring of celery and serve. Selecting your crab meat: Fresh crab meat is the best, but is highly perishable, lasting only a few days. Canned or pasteurized crab meat can be quite good and a more stable source, as long as it has not been frozen. For me, frozen crab meat loses texture and flavor and should be overlooked. Jumbo lump: These are the big crab lumps that come from the upper legs connecting to the body. These are the best for cocktails and salads, and my favorite indulgence for the perfect crab cake. Be selective of your brand, as an old trick is to pack the jumbo lump pieces on top, hiding the standard lump pieces underneath. Lump, flake or claw meat: This is the meat from the rest of the crab and is sold under many marketing names, such as Lump, Special, Premium, Select and such. These pieces taste fine but are smaller and finer. Lump is just fine for a crab cake, but be careful to mix it as little as possible to keep the meat from further breaking apart and becoming mushy. Colossal lump: Newer to the market, this meat comes from giant crabs fished in the South Pacific. These giant crabs yield giant lumps, clearly the size of a silver dollar, about double the size of Jumbo Lump. Very expensive, this meat is best enjoyed when it can be clearly enjoyed in its colossal shape. Tricks of the trade: The best technique is to blend your spices and seasonings into the mayonnaise, then add the crab with as little mixing as possible. Second best is to deeply chill the crab cake in the freezer for about 15 to 30 minutes to set the shape; this allows you to avoid adding bread crumbs into the crab to glue it together, thus adding bland filler and unnecessary carbohydrates. Saddam to be hanged by Sunday. ” Karma does not mean destiny or fate. Karma means work. According to the old Hindu wisdom, your life’s work is your destiny. People in India do use the word Karma sometimes to mean destiny/fate, but everyone who has studied Sanskrit understands that the primary meaning is Work/Mission of life. Someone slipped up while translating, and in US, the word is exclusively used to mean destiny. The closest Sanskrit word for destiny is Bhagyam. I learned something new today. Thanks Tushar. I wonder if Saddam will be contemplating his bhagyam right before hundreds of thousands of Iraqi’s get what we like to call cold justice. Make sure to watch the videos, they are pretty impressive. To borrow a term from the left. Bullwinkle has exclusive video of a drunken Ted Kennedy Leaving the 2004 Democratic Convention. The State department has declassified a document that clearly implicates Yasser Arafat in the 1973 killings of American ambassador to Sudan, Cleo Noel, his deputy George Moore and a Belgian diplomat. This is the sort of thing that will get you a Tomahawk missile in the ear, but we sat on this information for 33 years so as not to cause discomfort for our Arab “friends”. That’s worked out really well for us. 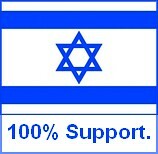 The document in it’s entirety is available from the State Department’s website here. 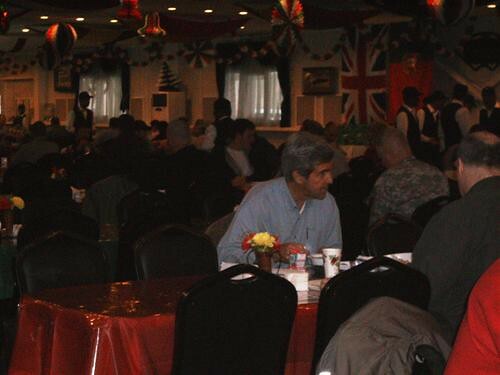 John Kerry went to Iraq and no troops would sit with him while he ate or pay him any attention the rest of the time he was there. I guess they are not as stupid as he thinks. Finally, the next morning, Senator Kerry ate chow at the Dining Facility. Normally when a Senator/Representative visits, he is joined by a contingent of soldiers/Marines/airmen from his home state. Despite the fact that the MP unit responsible for Green Zone security is an Army Reserve unit from Massachusetts, not a single soldier went to sit with him. Can’t say that strongly enough, I’m developing a true hatred for that terrible excuse for a company. One month later and still not any closer to a resolution. A month ago a Comcast tech came out and identified a problem with my digital cable service. Since then five techs have been scheduled to come out and have either not shown up or have been the wrong kind of tech. Comcast customer service has repeatedly promised to correct the problem and then a week will go by with nothing having been done. When I call in, it’s another week until they can have someone else come out to not fix the problem. So glad I spent two grand on the HDTV that just sits there all day until I go out and rent a DVD. Oh yeah, I haven’t paid my bill yet for this month, they told me they had to wait to issue a credit until after they resolve the problem — they cut off my service for nonpayment so I couldn’t even watch the small TV in the bedroom on analog cable. Morons. I give up. If after a month of screwing things up, they can’t send some one out any faster than a week from now? After all of the bowl games? They don’t want my business. Now I have to figure out which satellite system I can get installed before Jan. 1. I made an appointment at our city attorneys office tomorrow to file a complaint. If there was any other option, I would go with it. Update: I had to get a group of neighbors and go to our City Attorney before Comcast would fix the problem. They promised a discount to make it up to us — of course they screwed that up. Called back in about it and they say “I don’t see anything about it in the call notes” — their standard response for everything. Just a horribly run company. I give them one more chance to follow through on their promises or I’m sticking a dish on the house. But mom, I don’t want to be an epidemiologist! We make stuffed animals that look like tiny microbes—only a million times actual size! Now available: The Common Cold, The Flu, Sore Throat, Stomach Ache, Cough, Ear Ache, Bad Breath, Kissing Disease, Athlete’s Foot, Ulcer, Martian Life, Beer & Bread, Black Death, Ebola, Flesh Eating, Sleeping Sickness, Dust Mite, Bed Bug, and Bookworm (and in our Professional line: H.I.V. and Hepatitis). As wierd as this looks and sounds, it’s a brilliant idea — bet these guys make millions. Last year Bill was imbedded with the Marines in Anbar, here he follows up with a report from the ground on local leaders views about the news coming out of the United States. I specifically asked the tribal leaders if they watch the news coming out of the United states, and if the news impacts their decision making process. The answer in every case was yes, absolutely. The sheikhs’ primary concern was the U.S. would withdraw from the region, and those who collaborated with the U.S. and Iraqi forces would fall prey to al-Qaeda. The situation in Anbar province has not changed, and the tribal sheikhs and politicians still watch the Western media. Today, the release and implications Iraq Study Group report is their main concern. Last week, I attended the Fallujah city council meeting and the Anbar province mayor’s meeting. The Iraq Study Group report was the main topic of concern at the Fallujah city council meeting, and a primary topic at the Anbar province mayor’s meeting. The politicians and tribal leaders are very concerned that the Iraq Study Group report spells the end of the U.S. presence in western Iraq. These men have risked their own lives and the lives of their families by working with the Iraqi government and U.S. forces. How about 173 pictures of little kids who are afraid of Santa?